Wow, my three months volunteering here have been absolutely incredible. I have been teaching English at Señor de la Soledad High School here in Huaraz, every afternoon Monday-Friday from about 1:30 to 6. 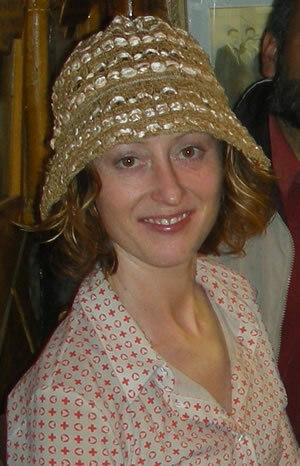 I have been assisting Teacher Nancy, the English Teacher at the high school, in her classes. The students are very fun to work with, and its excellent for learning your spanish. I highly recommend printing out photos of you and your life, and sharing them with your students. All of mine loved that! The hikes in this area are all amazing, check out the physical testimonial book here for advice on which ones to do. And lastly, thank you so, so, so much to the Delgado-Angeles family. Haydee, your cooking has been incredible, and I still love all of your food after 3 months of eating it. I wish I could cook like you. Luis, I know I didn´t take many Spanish Lessons from you, but thank you all the same for the help you gave me learning Spanish. The difference in my Spanish between when I arrived here and where I am now is incredible. Thank you so much for this wonderful opportunity! I learned not only castellano, but also about Peruvian culture, way of living, and warm and caring hospitality. Luis, the classes were fun and callening and your patience is saint-like. Maybe next time I´m in Huaraz my castellano will be better and I will be able to communicate better with the family and Haydee can tell me more about her wonderfully smelling, looking, and tasting dishes. I wish you all the best for the future. May your house further b efilled with love, laughter, and joy, lots of volunteers, and Spanish students. Thank you so so much for providing such a wonderful environment to learn in. From the moment I met you guys and entered your home, I felt so welcome and comfortable. From the constant smiling, to all the good smelling cooking, your home has been such a wonderful part of my day. Thank you, Luis, for your patient and fun way of teaching. I can tell you really care about your students and teach in a way that you believe in. Really one of the best teachers I have ever had. 🙂 I recommend to everybody to come learn with you! Everything about my experience has been far more then I expected. I leave with a big smile on my face and fond memories of Huaraz. I wish you guys warmth, joy, family, and good luck. Thanks again from the bottom of my heart! Both me and Enan are beyond grateful for you welcoming us into your home over this last week. Although a short stay, it has been wonderful and we have fallen in love with your city. Luis, thank you so much for our Spanish lessons. Your guidance has been so helpful and we are grateful for your patience with us! We will try our best never to forget the meaning of “encuentra” again! Haydee, your meal have been dlicious! Thank you so much for all of the lovel meals, they are worth coming back to Huaraz for alone! I´m sure you will have a fantastic time here, our only regret is not being able to stay longer ,we had no idea how much we´d love it here. Thank you once again to Luis and family. We will never forget our stay, and if we are fortunate to come back to Peru again after our travels we will be sure to come back! Thank you so much for welcoming me into your house and allowing me the amazing opportunity to be immersed in Huaraz and its traditions. Although I only had one week volunteering at SENATI and Soledad school, it was such an experience. I will never ever forget it. 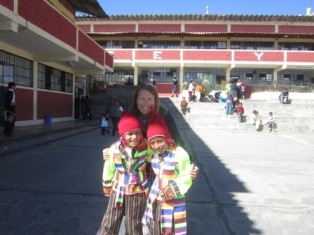 The people of Huaraz and the children at the schools are so lovely, kind, giving and have huge hearts! I wish I could stay longer, but one day I will be back! Haydee, thank you so much for your hospitality! You are a person of pure love, honest and kindness! And as mentioned by everyone, your food is delicious!!! My jeans are definitely a bit tighter after stuffing my face everyday. Thank you Luis, Haydee, Sindy, Essy and the gorgeaus Princess Idris. Quiero darles las gracias por su hospitalidad y toda su ayuda, especialmente cuando estaba enfermo. Tambien quiero darles las gracias por la deliciosa comida que tuve mientras he estado con ustedes.Sobre todo quiero darles las gracias por hacerme sentir como en casa en este país. Además, a Haydeé , lo siento que no pude decir adiós en persona, por su viaje a Lima. Gracias también Haydeé por la larga espera en el aeropuerto pues llegué en la madrugada. Lo siento el avión se tardó. Few words can get you a long way!!! Well, what can I say? Peru is such an amazing place, and spending a month teaching & living in Huaraz just added to the experience. Having retired last year from primary-school teaching, it seemed a shame to archive my skills forever, so I decided to combine travelling with some voluntary work. Why did I choose TeachHuarazPeru? I had wanted to visit Peru for a long time, and when I found Luis’ organisation it seemed ideal, especially as I prefer to live in a home-stay situation. Luis found a placement for me at Senor de la Soledad Secondary School, and later also at Fe y Alegria, and I lived with the Delgado family for a month. Luis & Haydee couldn’t have made me feel more at home, and were so kind and helpful in so many ways. As I speak almost no Spanish, Luis helped me arrange my weekend trips away, and Haydee was incredibly patient with my attempts to communicate with her. She also fed me extremely well! My room was great, with a very smart bathroom and a lovely view of the mountains. I really enjoyed living in Huaraz, and not just for the incredible views. As a single female, I felt safe walking to school & travelling on the collectivo minibuses to the city centre & beyond. Although it wasn’t festival time, there always seemed to be a brass band playing/a parade/a street party going on somewhere. Huaraz is also a good base for travelling out & about at weekends, and I took minibuses to Chavin da Huantar, Caraz and Yungay from there. There were very few foreign visitors while I was there (May/June), so I felt that I was seeing some of the real Peru, not just the tourist version. I would recommend finding a placement through TeachHuarazPeru to everyone – teachers & non-teachers alike. Peruvian teaching-methods are quite traditiona, but the teachers are open to new ideas. Most of our vocabulary-building was achieved via word-games & songs (the Okey Cokey proved to be popular, once the teenagers got used to barmy dancing as part of their curriculum). I was also asked to go to the teacher-training institute to talk to their students & to demonstrate some of the creative activities they could try in schools. If you feel able to do something similar, I’m sure it would be appreciated. Groups are small, so it’s more of a seminar than a lecture – not too daunting. Although it would have been useful to have known more Spanish, it’s not essential, so please don’t let it put you off teaching in Peru if you’re in the same situation. All the Peruvian people I met were very helpful & did their best to understand what I was trying to say. Go for it – it’s a great experience. Yo he aprendido mucho de español durante mi tiempo en Huaraz. Muchas gracias por abrir tu casa y por la experiencia. La comida de Haydee (¡y Luis!) estaba muy deliciosa. Desde el inicio, yo me sentía cómodo en tu casa. Yo aprendí mucho de Luis y Sindy. ¡Muchas gracias! 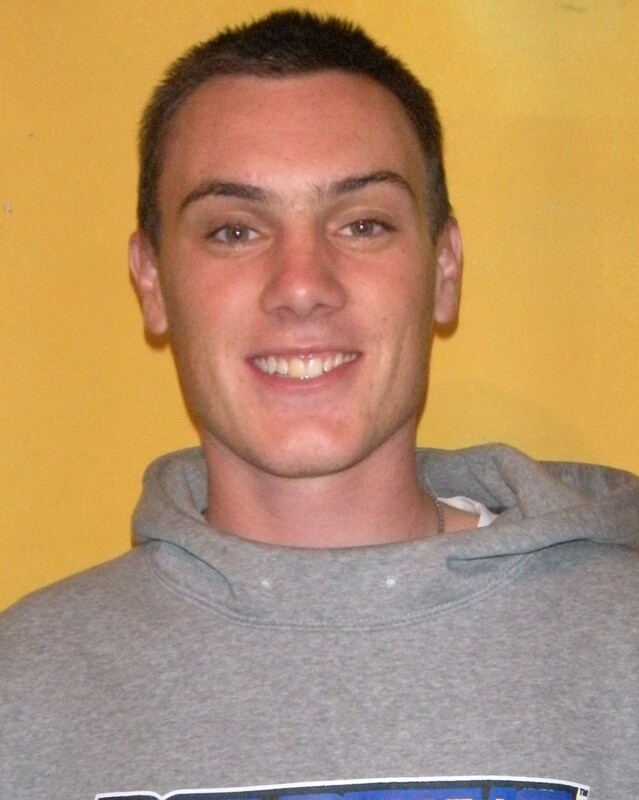 Volunteers: I stayed with the Delgados for one month learning Spanish. I studied with Sindy 60 hours and with Luis (#2) for 16 hours. It is a super challenging and rewarding process to study a language. A homestay is so useful for full immersion. I learned quickly to stay away from the gringo cafes, as I just ended speaking English here. However, everyone is looking for a different experience when they travel…. So my advice is don’t take anyone’s advice too . I did a lot of rock climbing and some trekking/ mountaineering in my spare time here. Give me a shout if you want some help. Hard to know how to express everything I want to say and do it justice. 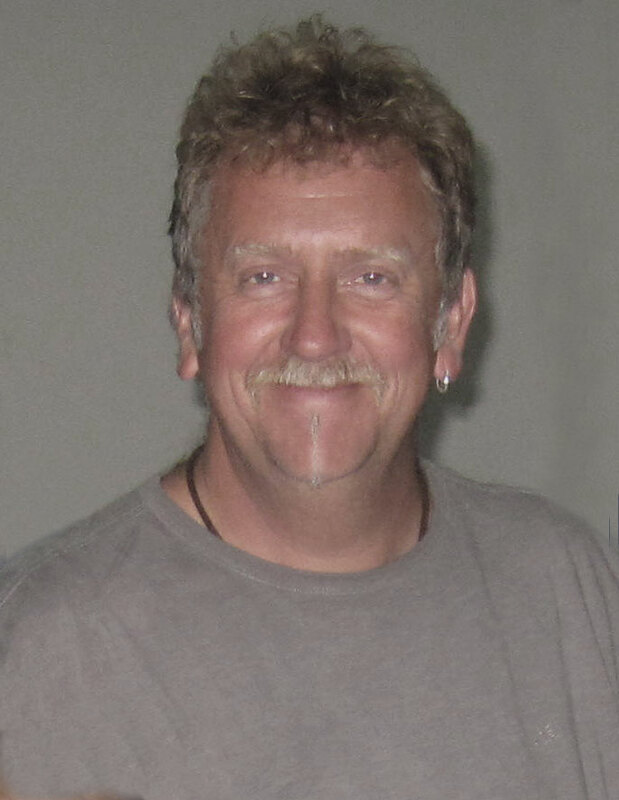 For those of you who don’t know me I arrived in Huaraz from Lincolnshire in England at 19 years old and I have spent 4 ½ months in the Delgado house, working in the Robert Smith school in Tarica. Not to sound too cliché but to say these 4 ½ months have been a rollercoaster of ups and downs would be an understatement. I have met some of the nicest people ever here, and have also been victim of thieves, gossipers and of course various bugs (illnesses). First of all the people, I was lucky enough to have a Peruvian teacher back home in England who gave me contacts here such as her friends and family. My biggest recommendation to anyone reading this is to take advantage of any opportunity or contacts that come at your way. If someone invites you to lunch in their house with their extended family, GO! On the whole the Peruvian people are incredibly wasn’t welcoming, if you can show interest in their culture and try some Spanish you will make friends for life. Thieves – twice I have been robed once here in Huaraz, the second time somewhere in the way to Cuzco. In spite of being a person who has travelled through Spain to Morocco with just one friend and had get to lose as have anything stolen I felt ok coming here. I knew, as in all places there would be so was cautious but still one day here on Luzuriaga (if you don’t know what avenue is this, find out!) a man fell, a crowd formed I put my hands into my pocket and as I did my phone was being pulled out. The second time I was so ill on a bus from Lima to Cuzco that I was actually scared I had to stop the bus several times to empty my bowels, eventually I had so many times attended decided better I use the “urine only” toilet. In the end I decided it was pointless to continue, I needed somewhere to stay. As I got off the bus I was so out of it that I didn’t check my all my things someone has taken advantage taking my camera from my bag. As annoyed as I was, I survived which is all that matters. Gossipers- A rather sensitive complicated subject to give you an idea I am about 6ft (1.90cm) with blue eyes, brown hair and facial hair. The biggest difference many of you will notice that there is the “gringo effect”. Whether it be people trying to rob you all of your money whenever you want to buy something, or worse, all the fans that seem to you are amazing, beautiful, etc. Great, some of you will think. No, not at all. Have many people “acosandome” and found myself starting to like some of them back. In the school the kids hug+play with teachers all the time and when one of the 17 year old 11th grader took an interest in me I found myself liking her more and more. As all of her friends make jokes of us and forced us into situations alone together, seemed natural. I worried more about the fact I was the assistant teacher at the school. We were both invited to a “quinciañero” where we danced and she kissed me, overwhelmed I kissed her back. Sadly her mum saw us and thought that I was too old for my height, she went into school to find out who I was, when the school found out what happened they kicked me out. Only after her parents praying for my return I came back to school! It was horrible, stressful time that caused a lot of pain for a lot of people. So bloody be careful! Gringo stomach- Just be careful with the food and drink. Not going to be patronizing but is isn’t worth risking it far some ceviche is the place isn’t too clean or the food doesn’t look right. I was so ill to the way to Cuzco once, I was scared.Before long journeys small meals is always a good idea. I think I’ve covered everything, just try to keep a level head all the time and think of the consequences of your actions and you’ll be fine! Most importantly, enjoy yourself and don’t it too fast and be above! Just leaves me to say a massive thank you to the Delgados:Gracias por todos los buenos recuerdos que llevare a mí pais, ¡los extrañare mucho! During our trip around the globe, Huaraz was the first place where stayed longer than a week – and this was the best decision we made in a long time. At first we were “only” looking for an opportunity to learn Spanish. Well, it turned out that the great Spanish classes with Sindy where one highlight to others: Haydee´s typical Peruvian food – delicious! Future visitors: keep convincing her to finally write her own cookbook! Luis hospitality and helpfulness in every respect. And thank you to all the family for working us fell at home. Apart from becoming part of family life here, we also made abundant use of the stunning views from the roof top… to find such a view of Huaraz and Huascaran anywhere else! We are sad to leave… but we will most definitely return, hopefully, and maybe with children of your own. We wish Sindy the best luck with her child, we are sure you will be a fantastic mother. Future visitors: if you want to do Essy a favor, make chocolate brownies for him! 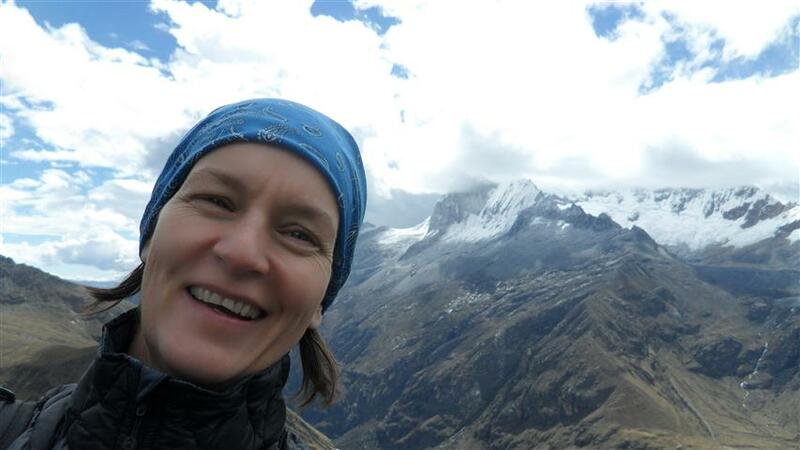 I want to thank you for ensuring that I had both a personalised learning experience and a comfortable stay in Huaraz. The Spanish lessons I received in your school were both professional and geared exactly to my needs and requests. The combination of local cultural tours with Spanish lessons made my learning experience unique and memorable. I left believing that the warm hospitality from you and your family provided me with an introduction to Peru like few other visitor’s experience. The family style home-cooked meals were more than just delicious; they were good fun and a great way to practice my new Spanish. And the accommodations were excellent. Muchas gracias. 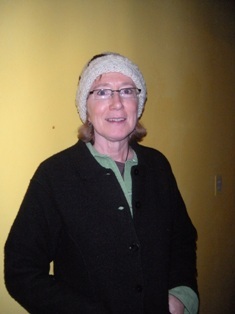 A friend and I had the very good fortune to stay in the Delgado house in Huaraz for one week in May 2013. The family is particularly hospitable and welcoming. The food was great and the discussions around the dinner table with the family and volunteers were always lively. Haydee is like a Mom to everybody in the house, ensuring that everyone is well cared for and feels part of the family. We also took advantage of the opportunity for Castellano (Spanish) lessons. Sindy was a superb teacher. Luis provided a special evening grammar session to wrap up our learnings. During the week, we took a day tour to Chavin de Huantar. The scenery was grand and the ruins were fascinating. In addition to working on teaching us Castellano (Spanish), Sindy also provided us with much archaeological, historical, and cultural information. I am 59 years old and a long-time student of the spanish language, having studied in a number of schools in Spain and Latin America. My experience with one-on-one instruction with the Delgados was definitely one of the best, providing concepts, useful exercises, and opportunities to practice. Haydeé and Luis offer comfortable accommodation and wonderful food, and are careful to attend to every need of their guests. The family and their other guests create an exceptionally warm and friendly home environment. The family can also provide excellent guided day hikes in the beautiful Huaraz area. In short, I would strongly recommend a spanish learning experience in Huaraz with the wonderful Delgados!!! My names Chris and I recently spent just under 3 months (from April til the end of June) living with the Delgado’s and participating in TeachHuarazPeru, I’m back in England now unfortunatly but i’ll give you a little taste of my experience if you are thinking of volunteering! I arrived in Huaraz a 22 year old with little travelling under my belt outside Home so waking almost straight into the Delgado’s home was exactly what I needed to get myself settled and absorb the differences in culture and language etc., which the longer I stayed seemed to became smaller and smaller. The Delgado’s are a lovely family and extremely welcoming to all the volunteers. Luis (the head of the family and founder of THP) will always ask how your day went with a big old smile when you see him in the evenings and is always ready to help you any with problems/questions you might have. Haydee, his wife, also has a huge smile waiting for you as well and made a great effort with me throughout my whole stay to understand my terrible spanish. We had a good old chin wag after almost every meal (which are always gorgeous btw) usually accompanied by Dalila, a family friend who has an incredibly infectious laugh. The support that the three of them give you is really invalueable when you are away from home for a good while so I’d love to thank them again for that! Then there is Sindy their daughter who is also now the volunteer coordinator. She is always on hand for chat and any info you might need (she’s also not a bad cook herself, especially when me and Christian were helping lol) especially if it concerns the discoteca’s in town of which she is a bit of an expert! And last, but not least, is Essy (nickname: Sleepy Essy) their younger son who is great fun and will beat you at cards, basketball, football…in fact almost any game you can think of, just watch out for him cheating and jumping out at you when you least expect it lol He’s also got a mssive stack of films and you’ll probably end up watching Zombieland every few days if your not careful. P.s. stay away from a DVD about Eric Bana and his car which Jessie, an aussy volunteer bought (who else) cuz it is truly shocking. I taught in a school called Fe y Alegria (faith and happiness) just around the corner from the house and it was fantastic! After my first week the kids were shouting ‘Hola Teacher!’ or ‘Chriiiiis’ when they spyed me in the street and I formed a real attachment with the school so it was really sad when I left. I was assisting an English teacher called Gisela who was absolutely fantastic as a teacher and friend throughout my stay and made me want to be back in school again! If you want to be in her good books straight away bring in a few sweets as she always accepts them with a real guilty smile lol She organises an English Song Competition every year, I think this one may be September, so any volunteer arriving then be prepared to sing a few Spanish verses. The kids ranged from 12 to 17 yrs old that I was teaching and all of them were very keen to learn, if not a little lazy, but most of all they are great fun so get chatting to them staight away, play basketball and football at break and don’t be afraid to make a fool of yourself in class and they’ll love you! The school football team is run by Gisela’s husband and I managed (only just) to keep up with them in traning for a few weeks so get involved in that and the music department if you are into either of those things. The city of Huaraz itself has plently to do in and around it. I used to love exploring all the little streets on my days of and especially checking up on all the cake and food shops. There is loads of pharmacys, supermarkets and electric equipment shops so you can get pretty much all you need there. I started to really love the place after I discovered all its little intricacies and the character of the people. There is also loads of bars and clubs to explore if your a bit of night hound….me and my fellow volunteers Christian, Jessie, Katy, Chuck and Graham sampled most of them at some time or another for a bit of latino hip shaking and un poco tequila. Also, don’t miss out on some of the mountain lakes surrounding Huaraz, some of them are stunningly beautiful so get info on them from the Delgado’s. I couldn’t have wished for a better stay in Peru than with the Delgado’s and Huaraz. Since my arrival I have met over 10 volunteers all of varying ages (20-63), nationalities and personalities without who my experince would have been seriously diluted so thankyou to all of them! If I had any advice for future volunteers it would be to improve your Spanish as much as possible before arriving in Peru because you will be able to immerse yourself much quicker in the culture and, most importantly, get to know the family, pupils and other Peruvians from the get go. Also, go with a laid back attitude so you can take on the challenges that teaching may present to you, for instance teaching by yourself if you haven’t done it before. Apart from that just really take the dive and enjoy yourself as much as possible because that’s what the whole experience is about! I thought i´d put something in here mid way through my 6 week stay with the Delgado family. Basically it´s a me tambien about everything that has been said. The Delgado family were warm and so welcoming from the moment I arrived. After travelling for four months it was so nice to have a stable routine, for a bit at least. Luis has organised for me to work in two places, the Centre de Idiomas in the evening and Jose Morello in the mornings. Being a trained teacher, i feel as though i had something to offer both places. My ideas have been embraced by the other teachers and in turn they have been able teach me more about the elements of English grammar. It was scary how much I didnt know. I also now help out some students in a one one setting and visit the new University a few days a week. Pretty much once the other teachers find out there is a native speaker helping, they ALL want you to work with them. Its awesome but my advice is to not spead yourself t thin. Ensure keep time for yourself and dont feel guilty about saying no. It´s impossible to work with EVERYONE. The city of Huaraz has everything you might need including an awesome gym just around the corner, if that´s what you´re into!. Ok, will report more when my time is through. Never one to put my travel (or any for that matter) plans in specific detail, I arrived in Huaraz in September straight from London with the possibility of staying here a maximum of two months. Two months later and I am still here and set to return for my final week in Peru. The reason? Peruvians, and in particular Peruvian students, and in particular particular the Delgado family, are perhaps the friendliest people on earth. They are also extremely keen to learn and with a state university system the country has a wealth of students desperate to make progress and to continue learning. I know that for these reasons my return in a months time will not be the last as there exists huge potential and opportunities to improve the lives of many through the act of volunteering. I arrived at the Lima airport at 12.30 am, an hour and a half late, but Haydee was waiting for me. We stayed in the apartment for the night in Lima and next day caught a bus to Huaraz. It was my first time in South America and it was a hassle free introduction. The house is clean and secure and provides a great base to explore the area. The Andes are amazing and there are great treks available, a museum, various ancient ruins, and lots of pleasant towns to visit in the vicinity. Haydee’s cooking is amazing and there are volunteer jobs available or opportunities to learn Spanish. All in all I a great experience. I had an amazing time living and learning Spanish at the Delgados. It was a very comfortable living environment, and Haydee made delicious meals. I rarely ate the same dish twice, and I was there for 3 weeks!! During some of our Spanish lessons we would walk around town, and Luis talked to us about many interesting things about the city. There is no way I would of known any of the things Luis talked about had I stayed in a hostel. There are lots of opportunities for mountain trekking and climbing if that´s your thing, and the mountains are amazing!! In addition, Huaraz is a great city with lots of charm, as is the Delgado family. It was very hard to leave. I felt like I could of stayed much longer, however I had to continue my journey. I definetly recommend that you contact them if you´re planning on going to Huaraz!!! You will love the Delgados! After travelling in southern Peru for a month, I decided it was time to head north and focus on improving my Spanish. I was intrigued by Huaraz but there weren’t really many options for lessons. I knew about the Teach Huaraz Per? organisation, but thought of them as focusing on placing people into volunteer work as their first priority. I wasn’t ready for volunteer work yet, but took the chance and emailed Luis to find out if it might be possible to do a home stay with them and just focus on language improvement. I received his friendly response very quickly, and in a few days I was making my way to Huaraz. I initially wanted to stay 2 weeks, but it was such a pleasure to be in this mountain town and to be with the Delgado’s that I extended it twice and ended up staying a month. The benefits of the homestay unfolded over time, including getting advice from Haydee on the best place to have my shoe repaired, and other very helpful hints. During our morning group lessons, Luis took us out to various places in town to speak the language and at the same time, learn a lot about Huaraz – including the only street that survived the 1970 earthquake, the best lookout in town, a tour through the museum, ruins, the market, and the outer limits of the city. A great context in which to improve my Spanish! The home of the Delgado’s was comfortable and it was quite luxurious that everyone’s room was complete with a bathroom! Thanks Luis, Haydee, Essy and Sindy for your hospitality. I hope we will keep in touch every now and then, and I will be curious to follow your progress of your dream to expand your organization to positively affect the lives of others in the community. …Espero que tengan suerte! Like so many before me, I came to Huaraz not knowing what to expect and leave hardly believing what an amazing experience it has been. From the moment I touched down in Peru, the Delgado family has shown me unfaltering /unexpected and unparalleled kindness, support and generosity. I am so grateful for their patience with my rubbish attempts at Spanish and for treating me like family when I did not feel well. 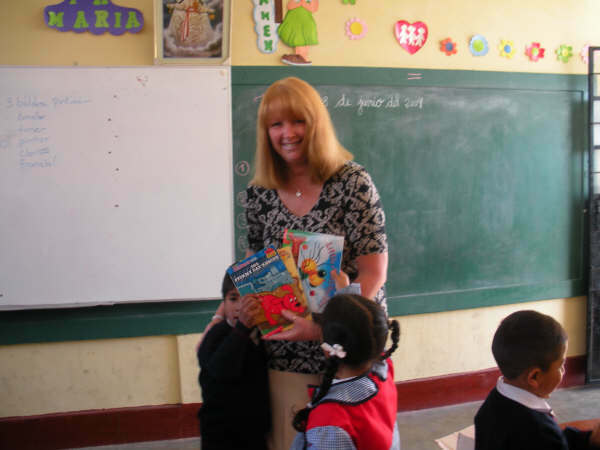 Teaching with Nancy at “ El Señor de la Soledad” school was wonderful. A little humor went a long way…Low refreshing to have a classroom full of giggling rather than teenage angst! I only wish I had longer so I could eat more Haydee’s yummy meals and explore more and climb more and learn more about this incredible place! Teach Huaraz Peru is a wonderful program and what makes it so great is Luis, Haydee, Sindy, and Essy. You truly are an amazing family and do everything possible to make us feel at home and make our journey go smoothly. Your smiles, laughter and wonderful meals made all the volunteers have a successful teaching experience and stay in Huaraz. When I got off the plane in Lima I was looking for a sign with my name on it, I saw so many people holding signs, I began to worry. Them heard an angels voice shout out “ Patricia” there was Haydee welcoming me with a hug. I about started to cry of joy and relief. Even though I locked my keys in my room I broke a dinning room window you were still so kind and helpful. Next time, if I come back, which I’d like to, I will speak better Spanish or at least try harder at speaking Spanish. First, big thank you to you all for making me feel so welcome in your family home. I have truly felt so welcome and comfortable during my stay here. (Even though it was a short 2 weeks placement) A special thank you to Haydee for all the wonderful meals you served and to Luis for his help and advice. My placement at Fe Alegría school was interesting. It taught me a lot about education in Peru and made me think about my own skills as a teacher. It was also great to go with one of the student teachers on Saturday to a nearby village and see the village children so keen to learn English. Enjoy Huaraz and the surrounding areas, there are amazing places to visit that have been mentioned in the book, but above all enjoy home life with the Delgado’s- that is a memory I will treasure for a long time. I hope all that follow this entry have had the same wonderful experience. I have found Huaraz and the surrounding areas enchanting. I taught in the Secondary School of Fe y Alegría with Janet. Although my teaching experience here was far different than my own classroom in the United States, I learned a lot and was treated with warmth and respect. I hiked to Laguna 69 and Churup, both “Vale la pena”. I attempted to summit Yanapaqcha. Due to heavy snow and thick clouds we had to return back 100m from the summit. Someone please climb to the summit for me! If you enjoy rock-climbing, go with the Andean Kingdom. They have a great refuge in the “Rock Forest” with all levels of climbs. The Delgados have been nothing short of fantastic. Take the time to sit down with them during meals for a good chat. When you get through customs in the Lima airport, having waited in the same lines, watched the same movies, and breathed the same recycled air as the group of your fellow travelers who flew in the same airplane from the northern hemisphere, you are suddenly confronted by a mass of strangers yelling out “Taxi,” “Taxi,” holding up scores of signs for their business partners to find them, and blurting out names of their family relatives. As it is likely night when you arrive and as you likely slept little in your cramped airplane seat, it is more than a little bit disorienting. So it was for me, at least at first. But by the time I had made it to Huaraz and spend just a few days there, I already had felt not just oriented, but at home. Over the course of the two months I spent at the Delgado house in Huaraz, Haydee’s meals, Essy’s games, and the town of Huaraz itself became something I’d miss. I came, of course, to teach English, and though I didn’t do as much of that as I’d expected – the government shut down all schools, public and private, for multiple weeks just in the middle of my stay due to fears of the spread of swine flue – I had the opportunity to travel both around Peru (to Cuzco and Machu Picchu for example) and around Huaraz (trekking in the Cordillera Blanca, visiting the Pastoruri glacier, the Llanganuco glacial lakes, the archeological site of Wilcawain, the solemn, modern ruin of Yungay, and more). But just a walk from the Delgado house is the marketplace (vibrant and a little bit crazy), the cathedral (under construction for multiple decades), and innumerable restaurants, clubs, and stores. I taught mostly older kids and teens before the schools closed due to the flu, and older teens and young adults as they began to open again. I’m not sure which I liked the best – the older groups are more open to learning English in a structural way, which makes it easier to see their progress, while the younger kids are looser and end up playing more games and activities, which are fun but can seem less directly helpful. Students of all ages, however, were incredible enthusiastic both about learning English and having a native speaker in the classroom, and I have to say, the thanks they gave me as I was set to return to the United States so effusive as to be almost embarrassing. I didn’t know what to expect at first from Teach Huaraz, seeing as it is a small program in a city I hadn’t even heard of before applying. But if the organization is small, it is also intimate, and waking up everyday with the most extraordinary mountains I had ever seen soar right above the valley spoiled me as much as anything from my stay this past summer. I came to improve my Spanish, have something to put on a resume, and help some students in a way that I – an English major at college – presumably could. But what will stay with me is the city of Huaraz itself and its surroundings, the extraordinary scenery throughout the Callejón de Huaylas valley, and the hospitality of the Delgado family. I have to say that although our stay has been short ( 4 weeks) I feel like I really had the opportunity to get to know the city’s culture. “ Teach Huaraz Peru” allowed me to become completely immersed in the daily routine of Peruvian life… it was fantastic! Thank you for setting up our volunteer placement at the elementary school. The days I did spend there were fun and enriching. Thank you Haydee, for your wonderful stories, helping us out with our laundry and your delicious meals! I can’t even begin to thank you for everything you have done for my friend Katherine and I. As two young females you made us feel very comfortable and safe. Thank you so much for arranging a place for us to stay in Lima when we got in so late. I was also pleased with our accommodation at your house. I truly enjoyed our dinner table conversations, they informed me a lot about Peru and its culture. We enjoyed the time we spent at school with the kids. As an older volunteer of 48 I was concerned with some of the aspects of this volunteer experience. I shouldn’t have spent any time on these worries as everything turned out fine. I volunteered at Robert Smith School teaching 1st, 2nd and 11th grades. The sponsor teacher, Doris Foster, was wonderful. I truly enjoyed the children, the school and the fact that I may have helped them learn better English! The 11th grade students made me a list of sites not to miss!. During my time in Huaraz I visited the springs at Monterrey which were amazing! Chavin, which truly was one of the highlights of my trip, glacier lakes, Yungay and the pottery shops by Robert Smith School. I walked into town daily and became a part of everyday life in Huaraz. Thank you Luis, for arranging my visit to Huaraz. Haydee, thank you for the delicious meals and for having patience with my lack of Spanish. Sindy and Essy, thank you also, for allowing me to be a part of your family. I enjoyed eating meals with you and being a part of the conversation. I hope to return to Huaraz in the future. Teach Huaraz Peru is an honest, organized, safe organization and I highly recommend it to anyone who wishes to volunteer in Peru. 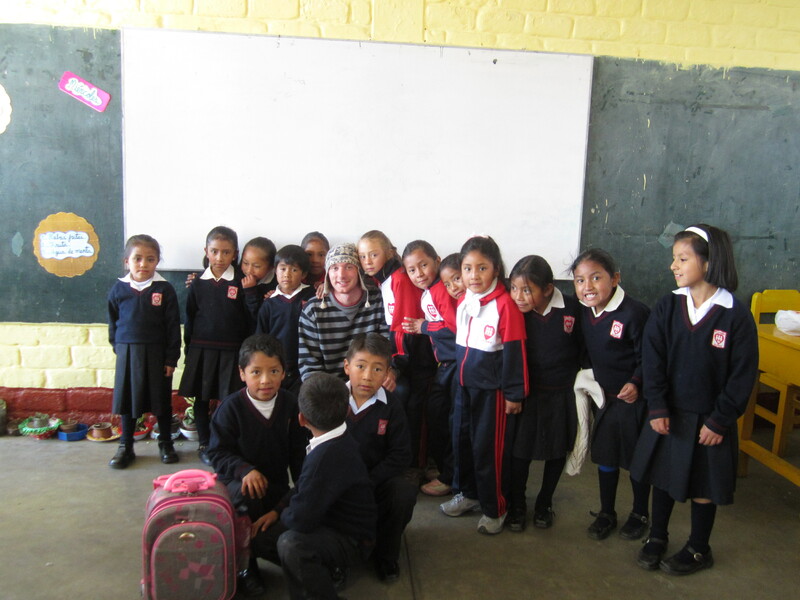 I volunteered with Teach Huaraz Peru for the month of October. Since I had never taught English before, I had wanted to try out a number of different things, and Luis was more than willing and helpful to arrange these experiences for me. I volunteered with grades 2 and 3 at the Robert M Smith (private) school in Tarica as well as at an advanced conversational English class (for adults) at the Centro de Idioma. That class was the most fun because my students were very keen to practice their English in preparation for their English equivalency test in December as part of their Fulbright Scholarship requirements. (They have since passed this test and are now on their way to the USA to study at their chosen Universities.) They were also very excited to be working with a native English teacher and were full of questions about my experiences in Peru, Canada and other countries I have travelled and worked in. I found Luis to be extremely professional, courteous, enthusiastic and very accommodating from the initial email exchange, right through to our goodbyes in Huaraz. In addition to the volunteer work, Luis also arranged for me to have pottery lessons with don Pablo in Tarica and sculpting lessons from a local sculptor (which unfortunately I was not able to do due to lack of time). I have been to Peru and Huaraz many times in the past, so I chose not to stay with the Delgados. If you are willing or wanting to be perhaps a bit more adventurous, you can chose to stay elsewhere. I’m sure Luis would be able to provide some accommodation options. I chose to stay with friends, which allowed me a bit more freedom to come and go as I pleased, to eat at a number of restaurants (tourist and local) and try many different foods, as well as hang out near the centre of town (where something always seems to be happening). Even though I chose not to stay with the Delgados, Luis always kept in touch to ensure my volunteering was going well and that I was doing OK. And I was always welcomed into their home. Huaraz is an adventure paradise and you will not be lacking for things to keep you occupied in your free time. I had the pleasure of meeting and hanging out with both Maree and Caroline, and we enjoyed mountain biking, ice climbing, rock climbing, trekking, bridge jumping and Friday mornings at the Thermal Springs in Monterrey! I was even able to lend a hand by providing editorial and site review for the THP website redesign. Go to Huaraz, Volunteer with THP. You will not be disappointed! And who knows, maybe Peru will get in your blood and you will never want to leave!! I think the most unique thing about Teach Huaraz Peru is how very personalized it is. During my 6-week stay in Huaraz, I mentioned to Luis that I could teach computers as well as English. The next thing I knew, I was teaching a week-long web programming class and redesigning the THP website. Both were great experiences! Later I mentioned to Luis that I wanted to learn to spin wool, so his mother-in-law stopped by the house to teach me. Fantastic! 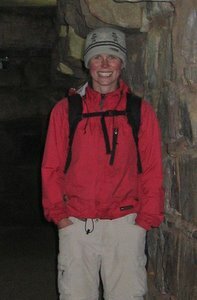 In addition to teaching computers and working on the website, I taught English at a nearby secondary school and participated in many of the fantastic outdoor activities that Huaraz has to offer (rock climbing, ice climbing, mountain biking, trekking, lounging in hot springs…). Huaraz is a true outdoors paradise, and the balance of living with the Delgados, teaching, and playing in the mountains on weekends was just perfect for me. Perhaps it’ll be perfect for you too! 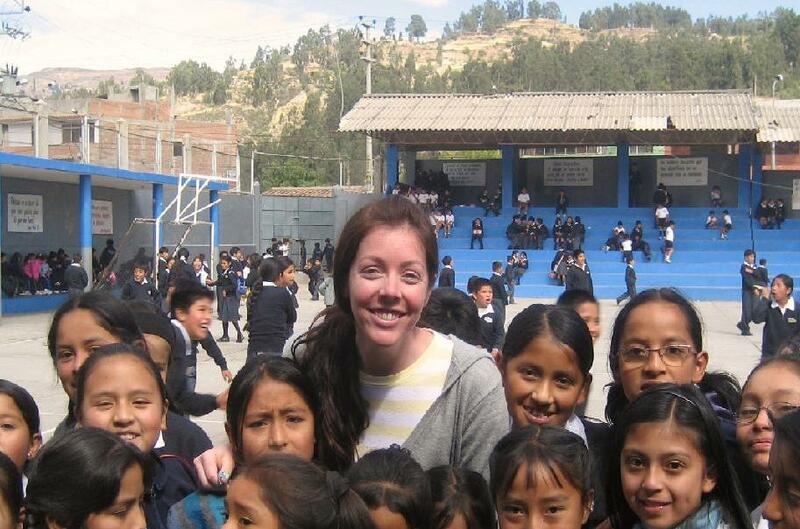 I volunteered with Teach Huaraz Peru for 6 weeks in September/October 2008 and thoroughly enjoyed my time. I found the organization to be professional, well organized and easily able to create a placement program that suited my requests. I volunteered with 3 different classes at the Universidad Nacional Santiago Antunez de Mayolo and with all grades at the secondary school Alfred Nobel de Carhuaz. The uni students were really enthusiastic and so excited to work with a native English speaker and the secondary students were such fun with oodles of energy and personality that made acting in particular a delight in the classroom! I also had the pleasure of doing some voluntary work behind the scenes with Teach Huaraz Peru, completing a full review and update of the website content to better reflect the range of opportunities and experiences available through this unique organization. I lived with Luis Delgado and his family and was truly welcomed into their home. I felt privileged to really experience Peruvian life and found the whole family to be so supportive during my stay. I was rather ignorant about all there is to see and do around Huaraz before I arrived but soon found myself filling weekends with a myriad of outdoor activities in the Cordillera Blanco, visits to a number of historical sights and regular swims in the beautiful hot springs of Monterrey. My whole experience of volunteering in Huaraz was really enjoyable and rewarding and I would recommend this organization to any prospective volunteer. I enjoyed a fantastic 4 weeks in Huaraz. I decided to spend my time with the children of INABIF. The staff and particularly the children were very friendly and helpful. I had just enough Spanish to survive the onslaught of questions and avoid some of the talk that obviously went on about me! Although after 4 weeks I had learnt a lot more. It is possible to work with all ages at INABIF and teach English games, make food and even be a climbing frame! I stayed with the Delgado family who really made it easy for me to become part of the family. Special mention must go to Haydee though for her delicious cooking! My time in Huaraz will stay with me forever I think, and I am pretty sure will contribute to shaping what I want to do in the future. The Delgado family really made me feel like part of the family; their kindness made Peru feel like home. I enjoyed my time at Santa Rosa school – the children were so affectionate and eager to learn. And I hope they did learn a few things! I know I did. That’s the beauty of volunteering I think, you get so much more out of it than you could ever put in. My 4 month stay high in the Peruvian Andes was ‘estupendo’. None of it would have been possible without the Delgado family. I cannot thank them enough for everything they did for me. Myself and many others have been blown away by their warmth and generosity. I am probably most grateful for the time Luis and Sindy gave me to help my Spanish improve. It is fair to say I arrived as probably one of the worst Spanish speakers of the organization’s history with my extended knowledge existing of roughly 6 or 7 words. I became a very good actor and listener in my first few weeks! Leaving the mighty Andes was tough – I became quite attached to the incredible view of the 22,000 ft snow capped peaks of Huascaran. My 11 year old daughter Lauren and I spent 5 months in the Delgado household and it really felt like we became part of the furniture. As a teacher Peru afforded me the opportunity to offer something back to the world, as well as providing me with some wonderful strategies to employ in returning to my classes in Australia. 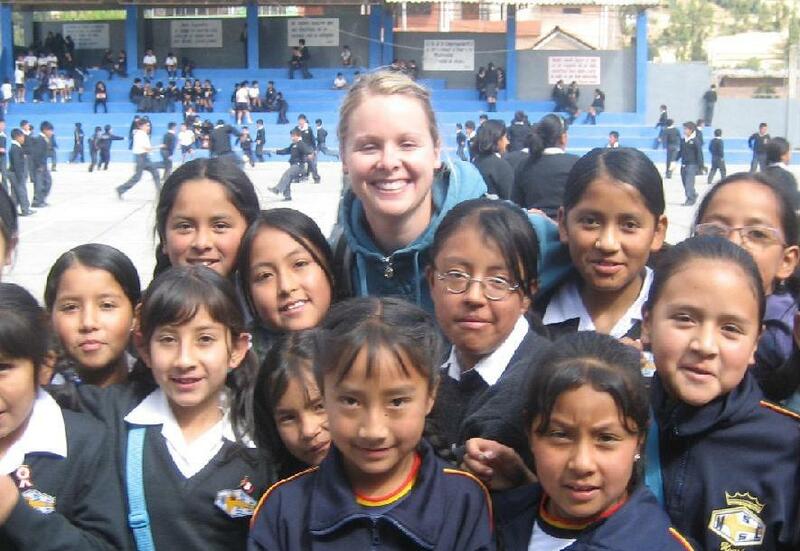 Lauren attended school in Huaraz and we certainly enjoyed the broad experiences we gained. Huaraz is great; the mountains are spectacular and the people are lovely. I’d like to thank the Delgado family for organizing all my placements and fabulous homestay accommodation. INABIF was a fantastic place to work. I was with the 5 year olds and learned all their names and little characters so saying goodbye proved really hard. It was also fun at the Language Center. My 9 months stay in Huaraz is something I’ll never forget. Hola! 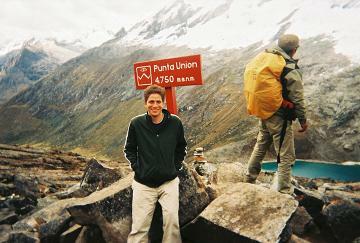 I was a volunteer in Huaraz for two months in April/May 2007. I had a fantastic time and cannot wait to return. Firstly, the hospitality and warmth of Luis and his family was fantastic, and I felt settled very quickly. The town/city is great: a fantastic market, surprisingly amazing nightlife, wonderful people and loads to explore all around. As for the teaching, I was working in the Primary section of the Fe y Alegria school where I taught Basic English with Luis’ daughter Sindy or by myself. The best part of this has to be the children – they were so bright and full of joy. I also worked in the University Language Centre downtown 3 nights a week, which I really enjoyed, as I met lots of people of around my age. When I went to Huaraz I had already studied Spanish in Guatemala and in the UK, but I was also very pleased that after just two months I felt very confident using Spanish in all situations. I thoroughly recommend Teach Huaraz Peru and hope to return myself as soon as possible. I enjoyed a really wonderful 4 months with Teach Huaraz Peru and greatly appreciated the hospitality I was shown by the Delgado family throughout my stay. Teaching at Santa Rosa was an enriching experience. Everyone there was really kind, welcoming and grateful. The experience overall helped me as both a teacher and a person. I hope it does the same for any future volunteers. I had such a good time the first time I decided to come back! Huaraz is a very small, safe and welcoming city where it is very easy to make friendships and really experience Peruvian life. I also feel that teach Huaraz Peru offers a very well organized and varied service. It is a very flexible organization with possibilities to work in many different environments. After finishing the trinity TEFL course Teach Peru gave me the opportunity to teach English to a very wide age group and students from very different economical backgrounds. I believe that this program would benefit people of all ages. Having prior knowledge of Spanish does help but other volunteers that have come with no Spanish at all have all really enjoyed themselves and picked up some Spanish on the way. My stay in Huaraz was only for a short 3 weeks but nonetheless was filled with so much! Huaraz is such a beautiful city that is filled with many surprises. Teaching in both Santa Rosa and INABIF was truly memorable. But the most significant thing from my time in both Huaraz and Peru was the unwavering generosity and warmth I received from all the Peruvians I met. I thoroughly enjoyed my stay in beautiful Huaraz and teaching was a truly amazing and memorable experience. The Delgado family made me feel so welcome in their home and treated me as their own daughter and sister during the 3 weeks of my placement. I look forward to the day when we can all meet again – hopefully soon! My wife Deborah and I were welcomed into the Delgado casa with such warmth we were able to relax completely. Many thanks go to Luis for all the sympathetic little things he did to make possible the work we managed to do in Huaraz. You’ve been a true brother; we’ll see each other again! My husband Roberto and I were very satisfied with our experience in Huaraz. I hope that we helped the English speaking teachers as we really learned so much from them. Thank you Luis for your patience, curiosity and time spent to arrange our voluntary work. We thoroughly enjoyed our time living with you and your family. We treasure many memories of long talks, delicious food and the daily life of such a close family. And Haydee what would we have done without you; your nurturing and guidance – how we were so spoiled by you! We feel blessed to know that our lives have touched others and we’re richer for it. Huaraz is such a beautiful city and everyone made me feel incredibly welcome during my 3 week stay. I thoroughly enjoyed teaching at both Santa Rosa and INABIF and found the children to be very warm, appreciative and affectionate. I certainly recommend this organization to anyone interested in volunteering in Peru. When I decided to volunteer in Peru I searched long and hard for the perfect organisation who could help. Tucked away in a corner of the web I found them. Away from the smog of Lima and the tourism of Cuzco, Huaraz is a small city in the Andes where you can feel comfortable and at home. Luis Delgado and his family welcome volunteers of all ages, nationalities and hairstyles into their home – here you really will become part of the family, however long you stay for. Luis has the experience and contacts to arrange tailor-made volunteer placements in all sorts of settings. But THP is also small and family-run, which means it’s able to give everyone individual care and attention. From my collection at Lima airport by Sindy, to my departure when I was escorted to the bus depot by Haydee, I never once felt unwelcome or unsafe in the capable hands of the Delgado family. Luis (a remarkable man by anyone’s standards) arranged volunteer work for me with INABIF and the Language Centre, which was a perfect combination – so rewarding and interesting, and I hope I was able to help and make a small difference during my time with the children. Memories? The stunning beauty of the Cordillera Blanca in the bright morning sunshine. The kids in my English class singing their version of Billy Jean. My 49th birthday tea and the giant birthday cake Essy made (and ate almost single-handedly). Seeing Sport Ancash score a goal against the mighty Allianza Lima. Being walked home from INABIF every day by a group of kids trying to teach me Spanish. Weekends visiting Wilkawain, Lake Llanganuco, Yungay, and the astonishing Chavin de Huantar. The cappucino at Cafe Andino. Anyone thinking about volunteering in South America should certainly get in touch with Luis. And I really hope that from that first e-mail, you will begin your journey to the wonderful Peruvian Andes, where the Delgado family will welcome you as one of their own, and life will never be quite the same again. What I am most grateful for from my time with THP is the sense of personal direction I discovered through teaching. After abandoning work and other responsibilities at home in New York, I headed nervously down to Peru to try for the first time teaching English. I had no idea what to expect and I’m glad I didn’t. Huaraz quickly stole my heart. The advantages of living with a family while working abroad – especially a family as kind as the Delgados – are numerous. Luis answered any questions I could have had and personally insured that every part of the process run smoothly. The accomodation, meals and experience are all exactly as advertised and more than I could have asked for. After my first week there, I was sure I had made the right choice in coming down. After adjusting to the role of a teacher (and finally to the altitude), I started to realize what it was that made me abandon my life in New York and get on the plane in the first place. The desire to learn. I never imagined how much I could personally learn from teaching. I took pride in seeing the students comprehend what I had explained, shared lots of laughs as I often attempted to say too much in my somewhat limited Spanish, and started to discover that this had been my true ambition all along. The Peruvian people – in and out of class – were friendly, generous and had a great sense of humor. I never once encountered any problems being a foreigner in Peru and was everyday blown away by the beauty of the surrounding snow-covered mountains and the relaxed lifestyle of the Peruvian people. I can’t recommend this program enough. Huaraz is definitely a special place and the Delgado household is the perfect place to experience it. I already miss my short two months there and hope to return someday soon. If you have questions about anything, feel free to contact me. I went to Peru searching for a growing experience and came back with much more…..a Peruvian family and memories that are forever a part of me. Now that I am back in the United States, people ask about my experience, and sometimes I can’t articulate how impactful of an experience it was other than tapping my hand over my heart. I feel like I got the “package” deal living with the Delgados and being able to volunteer teaching English at Fe y Alegria. Embarking on my journey to Huaraz was somewhat stressful because of my lack of International travel experience and very limited Spanish speaking skills. Okay I really had no Spanish speaking background, making this adventure a little intimidating for me. Luckily, I would be arriving Huaraz to the Delgado family (Luis, Haydee, Sindy, & Essy) who would serve as my gateway to my Peruvian experience. The support they provided was perfect, they seemed to know just when to help me out and when to let me figure it out myself. During the weekdays, I went to school with Sindy (daughter) who teaches English at the primary school, Fe y Alegria. Because the school was only a block away from home, Sindy and I would walk to school each day giving us time to discuss what we would be teaching students that day and how I would like to help facilitate learning. I really liked having the freedom to choose how I would teach different English themes to our students. I am a kinesthetic person, so acting out animals and having the students guess what animal I was acting out proved to be fun for both me, and the students! Don’t be fooled into thinking that I was the main teacher in the classes each day. At first I was nervous wondering what the students would think of me. After all, I looked different from them all the way from my eye and hair color to the way I dressed. I stood out like a sore thumb, but quickly learned how embracing and welcoming the Peruvian culture is. It didn’t take long before we were playing volleyball, soccer, and high five games. They were just as curious about me as I was about them, and teaching and playing provided the best platform to establish authentic relationships with each other. I learned so much from my kiddos and most of all I grew to love them. I never left school without lots of hugs and kisses from the kids. I even grew to love the kisses that had the added treats of greasy lips and chocolate leftovers from their snacks they ate at recess. I never took a break from teaching English while I was at school. In the morning before school, students would ask me to play volleyball or soccer at recess. We would make plans on where to meet and the playing would begin as soon as recess began. We often turned the games into great English practice opportunities for counting and having fun with English and Spanish phrases. No matter what was happening at school, kids would come up to me at random times asking me to act out a lion or a monkey, but I never did it unless they asked in English! They loved it when I acted crazy and I loved being able to be myself! Since I was helping with primary students only, our school day ended at noon. After school Sindy and I would walk home to a traditional Peruvian meal prepared by Haydee (mother). The meals prepared by Luis and Haydee were absolutely amazing! If you want to lose weight, don’t even think about doing it with their cooking. All the meals were fabulous and I often ate more than I should have because it was so delicious! I grew to cherish our family-style meals we had every Monday through Friday, especially the evening meals when the whole family ate together. I loved putting what Luis called my “big ears” on listening to the family discuss what was going on in their lives in Spanish. The kitchen table served as an excellent time to fully immerse myself into the Peruvian culture because I always felt welcome to ask questions about anything and everything. Our conversations ranged from the days events to political and social questions about each other’s culture. The openness and freedom we shared served as a catalyst for developing relationships and connecting to each other on a personal level and on a level of developing cultural understanding. I vividly remember hanging out at the kitchen table after many meals sipping tea with Luis and continuing our conversations learning even more about the things we shared in common and understanding our differences. After my volunteer experience ended, I met my friend Dee whom I travelled around Peru for about three weeks before we returned to Huaraz to stay with the Delgados again. During my travels with Dee, I couldn’t help but share my Huaraz experiences with her making going back to Huaraz a necessity. To our surprise, there were two more volunteers staying with the Delgados: Therese from Michigan, USA and Andy from Switzerland. In a matter of days my Peruvian family grew even more with the addition of Therese and Andy. Immediately the four of us were off going to a baptism and traditional birthday parties with the Delgados. I had no idea baptism parties could be so much fun filled with great food, dancing to a live traditional band, and well……you can’t forget the cerveza! Haydee’s birthday was awesome because we went to one of her family member’s traditional house for the celebration. We got a tour of the kitchen where they prepared the biggest pot of soup I had ever seen and cuy all by wood fire. Cooking by fire takes a very skilled chef and the food was incredible! I wanted to volunteer more while I was back in Huaraz, but unfortunately we were going to be on the Santa Cruz trek while the schools were in session, and they would be on break when we returned from the trek. I was unfortunate to get a really bad chest cold while I was on the Santa Cruz trek forcing me to leave the trek early. After going to the doctor, I remember laying in bed at home hearing the students at Fe y Alegria singing their school song as they did every Monday before school and on special occasions. At that moment, I realized just how much I had internalized my experience with the kids. I remember the first time I heard the kids “belt” out their school song on my first day of volunteering at the school. I heard that song many times throughout the two weeks I volunteered because of the many celebrations I had the opportunity to share with students. At that moment while I was laying sick in bed, my eyes welled up with tears because I knew how much I missed the student’s enthusiasm and unconditional acceptance of the differences we shared. We could barely communicate with each other, but that never stopped us from playing with and learning about each other. Later that day I put myself together as best as I could and went back to the school for another dose of hugs and kisses and my final farwell……actually, in my mind it was a, “see ya later” because I intend on going back! I fell in love with Peru and the people I met in Peru because I was open to the experience. I went to Peru with no expectations other than immersing myself into a culture different from mine and wanting to learn Spanish. Thinking back to the days leading up to leaving for Peru, I kind of picture myself as a nervous sponge. I was nervous because I was doing this by myself with little experience, but at the same time I was eager to learn. I was prepared and open to experience the unknown allowing my experience to unfold in natural ways to great depths. Ultimately I want to thank the Delgados for providing me with the opportunity for an authentic experience. No goodbye……more like, ……..until next time! Working with children has always been a goal of mine, and I feel that this goal has been more than acomplished after my Huaraz experience. Literally the first day I started, the kids loved me, and took me in with open arms. The kids are just so excited to have you there, I couldnt help but feel like a rock star. Not only was it my first time with children, but it was also my first time volunteering. What a rewarding experience. I came to Huaraz with next to zero knowledge of Peruvian culture and was embraced by not only the Delgado family, but the locals as well. The meals provided were delicious everytime (thanks to Haydee) and the family really makes you feel at home. I had the luxury of attending a Peruvian wedding through the Delgados, and danced all day. Im not much of a dancer, but I was sure treated like one. The whole atmosphere here is very fun loving and relaxed. I had the privledge of meeting various volunteers and students as well, and I feel I have developed new, genuine friendships. To be honest, I am quite sad to leave tomorrow because I have also met some local friends that I have become close to. That being said, Im already planning on coming back. I had an unforgettable time here, and I am so so grateful for the opportunity.